Although it seems old-fashioned, children need to learn about respecting social norms. This doesn’t mean they need to conform to outdated behavior expectations. After all, society’s definition of acceptable behavior changes all the time. What’s important is that children develop respect for other people’s feelings. Freud said it more eloquently: our society relies on instinct renunciation. While that may seem counterproductive, human interaction is based on a multitude of social norms we must adhere to. Social conventions are still in place, though modern day tendencies may have us straying away from what had previously been regarded as good manners. Remember though, challenging this consensus, however free-minded we may have become, may cause you to sabotage your own success. You need to know how to address your peers. Back in the day, etiquette manuals, though abhorred by some, were nothing more than success manuals. Children learned how to behave and since early childhood, they knew how to conduct themselves, how to address others and more importantly, when to do so. That’s how the concept of courteousness appeared. And while some manners and social norms may have become obsolete, others have not. Applying them will only help you gain respect. In turn, respect will lead to a number of advantages. Steven Pinker, a well-respected Harvard Professor, has extensively researched social norms and how manners have contributed to a better world. Many are still nostalgic about the past, yet modern-day life has proven more prosperous and more peaceful than the past we so deeply romanticize. But with the development of manners and social norms, widespread prosperity and peace began emerging. Gaining the king’s and the queen’s favor began outweighing the alternatives to gaining power in medieval times. Knights and nobles alike had to secure their position by pleasing the king’s court, which had basically become a government bureaucracy. Breaking social norms was regarded as a foolish act, as it not only weakened your social position but threatened the power and traction you held at court. There are norms defining appropriate behavior for every social group. For example, students, neighbors and patients in a hospital are all aware of the norms governing behavior. And as the individual moves from one group to another, their behavior changes accordingly. Norms provide order in society. The rules developed by certain groups or subgroups of people, governing the way that group’s members may or may not act, represent social norms. While certain norms are common to multiple groups (for instance, wearing clothes, though that may not be the social norm among all groups), others are not. Sociologists such as William Graham Sumner offer multiple social norms examples. They include behaviors such as recognizing the death of an individual with public burials, wearing clean clothing, proper grooming, etc. If you’re keen on learning about the many rules of etiquette, this book is a good read. Social norms also allow conformity to appear, as they represent behavioral standards to which individuals must adhere. If all such social norms were written down, the list would be never-ending. Nevertheless, we have comprised a list that will ensure that you follow proper etiquette regardless of where you are. We all want our children to get noticed for the right reasons. Being rude, lashing out, or acting impulsively will achieve the opposite. Sadly, children are often unaware of their behavior and how it may disturb others. With their busy day-to-day lives, parents rarely get the opportunity to correct such behavior. Even so, if you pay attention and reinforce the following rules, your child will grow up to be polite and well-liked. Saying “please” and “thank you”: Insist that your child say please regardless of what he or she is asking for. Pay attention and correct it. Similarly, gratefulness should be expressed, so teach them how to say “thank you” as well. Ask for permission: Teach your child to ask for permission whenever unsure about doing anything. This applies specifically when you are visiting or not at home. 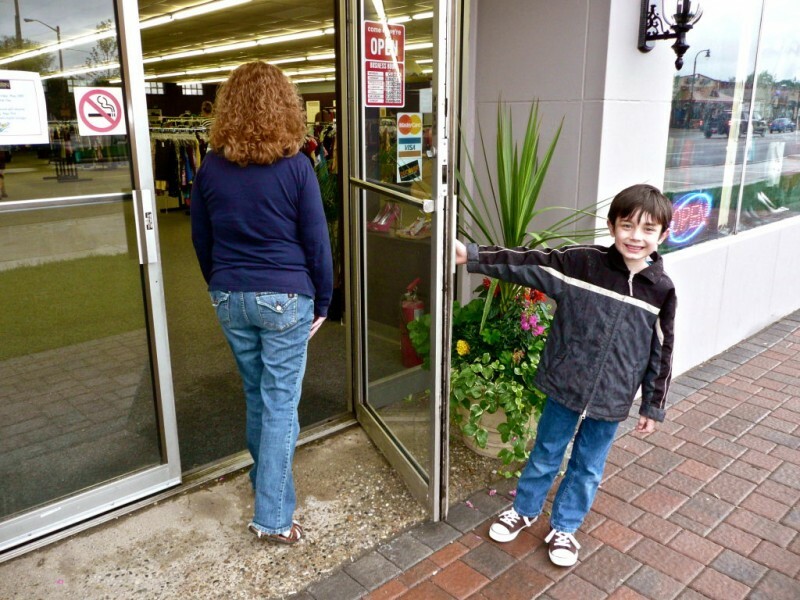 Knocking: One of the essential rules a child should learn is when they should knock. Closed doors are always off limits, and they should knock, wait for a response, and then enter. Cover your mouth when coughing or sneezing. Also, teach them to never pick their nose. Avoid interruptions: Children should be taught not to interrupt others (that includes grown-ups and themselves). Respect is a taught behavior. But children learn by example, so try to control yourself as well. If your child sees you or your spouse interrupting others, he or she will be inclined to do the same. Proper phone calls: Thanks to convenience of modern day, most children have cellphones before they are 5 years old. Even so, proper etiquette is a must. Teach them how to introduce themselves at the beginning of the conversation and how to politely end the conversation once they’re finished. Mutual interest: Another thing to teach your child is mutual interest. Many conversations start with people asking how you are. Practice with your child and teach him or her how to answer. Then ask the interlocutor how he or she is doing as well. Never use foul language: Children will eventually hear words they shouldn’t. So instead of shouting and telling them such words aren’t to be spoken, you’re better off explaining what they mean and how offensive they are. You’re raising an emotionally intelligent child, so including him in the thought process as well as the decision making process will help you more than simply handing down commands. Read more about Iq vs Eq. Avoid negativity: Impulsiveness and acting on impulse should be discouraged, especially because it causes negative reactions. Teach your child to think about the consequences of their actions. Ask them to think about how they would feel if the situation were reversed. Learn to receive gifts properly: Gifts represent consideration and thought. So saying “thank you” in the form of a phone call, written thank you note, or email is a short but necessary thing to do. Calling names: This is another difficult topic. Name-calling is common among children and temptations are everywhere. Even so, you should insist they know why such behavior is harmful to their friends and classmates. Making fun of others falls under the same category. Teach them how to communicate: Talking is not the same as communication. While it’s important to learn how to talk so kids will listen, it’s also important to teach your child how to talk to you and among themselves. Shouting, fidgeting, and cutting into the conversation is neither polite nor effective. The best route is positive reinforcement. So, acknowledge when your child is doing a good job. Physical appearance is important, however, you should never comment negatively on other people’s physical characteristics. Teach your child that every person is beautiful in their own way. Also, help your child learn about compliments. Sleepovers and party dates: your child should know that, when leaving a friend’s house, he or she should thank their friend’s parents for the hospitality. Attending a play or an assembly may be boring. Even so, respect the performers and sit through the whole thing. Offer to help others: Being helpful and polite is something that adults appreciate. So, teach them to offer to help and do so if asked. 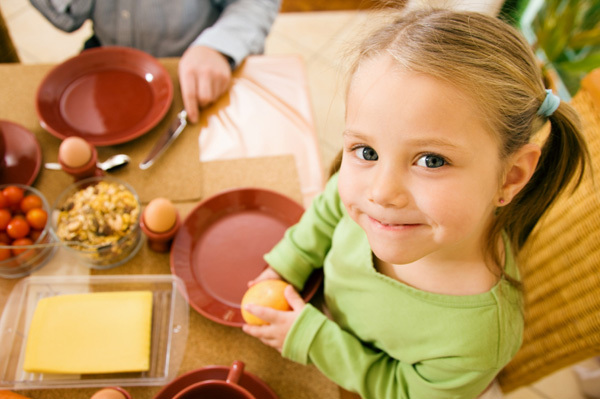 As children grow up, they need to learn how to use eating utensils properly. Practice together at dinner and show them that they can learn anything with enough ambition. While at the table, teach them how to use a napkin and insist that they not reach for things but rather ask them to be passed. As your children move towards adolescence and early adulthood, they should continue polishing their manners. If using utensils was considered difficult at first, teens and adults must remember additional things, including proper table manners, how to attend formal events, correspondence norms, manners when travelling or eating out. Lead with an appropriate greeting every time. Express gratitude via hand-written thank-you notes. Follow-up a business interview with a thank you e-mail. Be mindful of “Reply all” and “CC” functions. Go for “BCC” if you want to maintain the privacy of those you are writing to. Pen-friends are not obsolete. There are still conservative people who appreciate a good-old-fashioned letter. Stand up and offer your seat to pregnant women, elderly travelers or people with disabilities. Do not put your feet up. Seats are for sitting. Footwear should remain on at all times. Avoid bringing smelly food when travelling. Learn to exit efficiently. Do not jam the aisle and wait for the people seated in the rows in front of you to exit first. Be mindful of others while talking on the phone: don’t shout. Just because you’re wearing headphones doesn’t mean that others can’t hear you. Take care with the volume. Elbows: elbows have nothing to do on the table. Ideally, you place your wrists on the table, never your elbows. Turn of the phone during dinner. Cutlery: Work your way from the outside in (first course, outermost fork, and so on). Once picked up, cutlery never touches the table again. Place it on the rim of the plate. Hold stemmed glasses by the stem. Cut the food into one-two bite-sized portions at a time. When to start: It’s impolite to start eating before everyone has been served. The host generally invites everyone to start eating. Modern settings, such as buffets, allow you to ear before that. Reaching for food (while fully extending the arm) is a definite NO-NO. Food is passed around the table counterclockwise (to free up the right hand for serving). Pass both salt and pepper when asked for one or the other. When leaving the dinner table, excuse yourself and leave the napkin to the left of your plate. When invited to an event, you should always RSVP. If you’re not attending, call and decline the invitation. Don’t come empty handed. A bottle of wine or flowers work best. Your invitation will include the attendees (or at least contain references as to whether you may bring a date). Special food needs may be addressed if announced beforehand. If your diet is particularly difficult to adhere to, ask if you may bring a dish. Punctuality is a must. However, with such events, it’s ideal that you arrive ten or fifteen minutes after the scheduled time. Mingling and socializing may seem tedious, yet there are always polite ways to enter or leave conversations. Wait for breaks in the conversation to enter a clique and excuse yourself when leaving to speak to someone else. Say goodbye to the guest if the gathering was small. For larger parties, make sure to send a thank-you note and let the host know that you enjoyed the party. Dating the girl of your dreams will prove that much more pleasant if you adhere to proper etiquette. For one, you will have impressed her, and that’s always a bonus. Of course, nowadays, people don’t court each other with letter-writing and by attending balls. However, people still appreciate clever conversation. Respect comes first. Make sure to treat your date respectfully, don’t drink too much and don’t embarrass them. Make sure you properly greet your significant other. Fist bumps and high fives are not an option. Act with dignity. A girl should act like a lady and a boy should act like a gentleman. Plan the date in advance. Be punctual and dress for the occasion. Maintain eye contact. Don’t text, don’t talk on the phone. Try not to smoke. If you must, ask for permission. And NEVER smoke during the meal. If you’ve promised to call one and other after the date, do so. If your date doesn’t answer leave a message or a text. Read more about how to date. Learning how to treat a date is, indeed, difficult. And prom night is perhaps one of the major stepping stones. While prom etiquette has changed too, some things are still the same. A prom date starts with an invitation, which you may accept or decline respectfully. Be mindful of the feelings of the person who is inviting you. Discuss the details in advanced: Are you riding together with friends? Are you renting a limo? Such things must be discussed and paid for in advance. Prom is a formal event, so dress for the occasion. If you’re a guy, there’s no better occasion to learn how to treat a woman than at prom. Prepare a corsage (since girls still wear them) and offer one to your date. Indulge your date’s parents when picking her up: They will wish to take pictures, so be courteous and accept that. Mind your manners, avoid cell-phone over-usage, be attentive, and take your date on the dance floor. Learning etiquette involves vast knowledge and perfecting your manners takes time. Following these simple rules should help you deal with any situation you are presented with.